If you were ever afraid of mixing shades of blue, this might give you courage! Beautiful color palette…I love it. This is so beautiful! 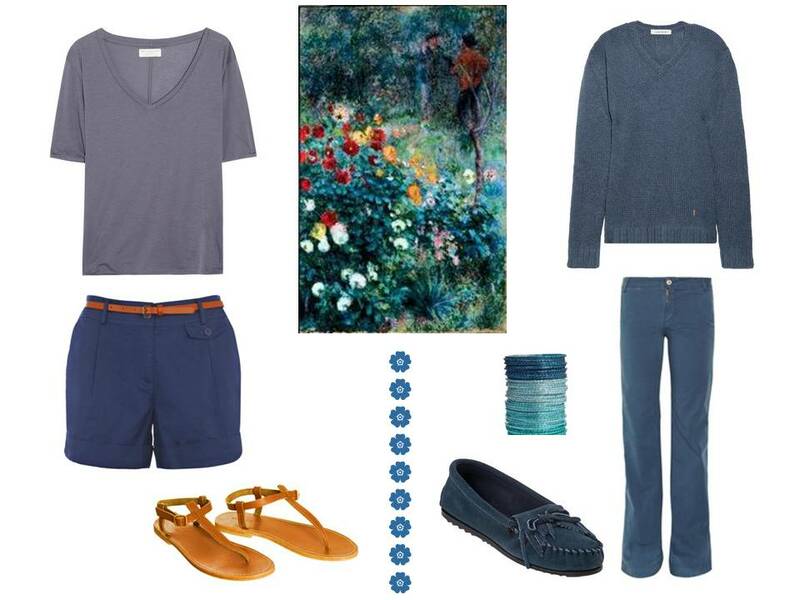 Can you do other color with color wardrobes? Purples, reds? Check out the museum catalogs! I think I saw scarves with at least a similar palette in either the Met or Art Institute of Chicago catalogues. I love when you do this! The teals in particular look great. Timely post! I had to laugh because I was outside a store dressing room waiting on my SIL when I clicked on your blog yesterday. We had just been discussing wearing different blues, so apparently you were reading our minds before we knew what we were thinking! 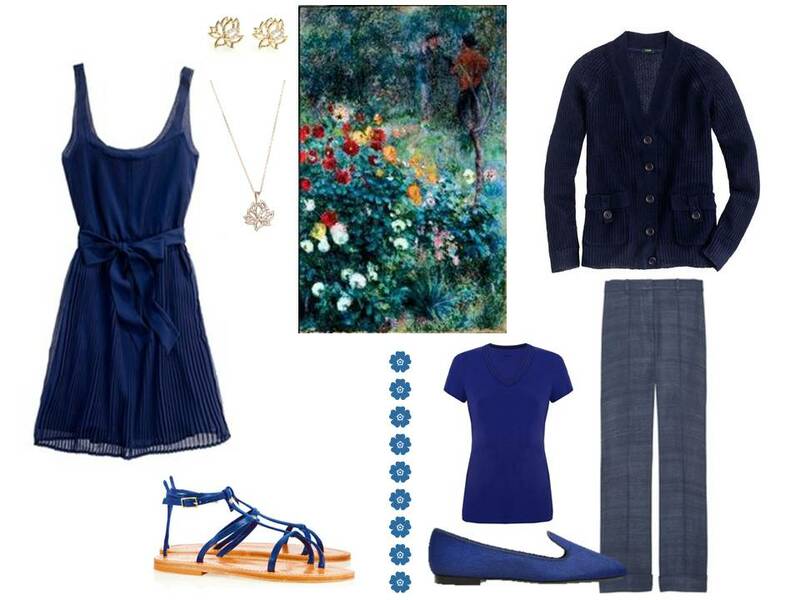 Janice, I've long thought that all blues go well together. 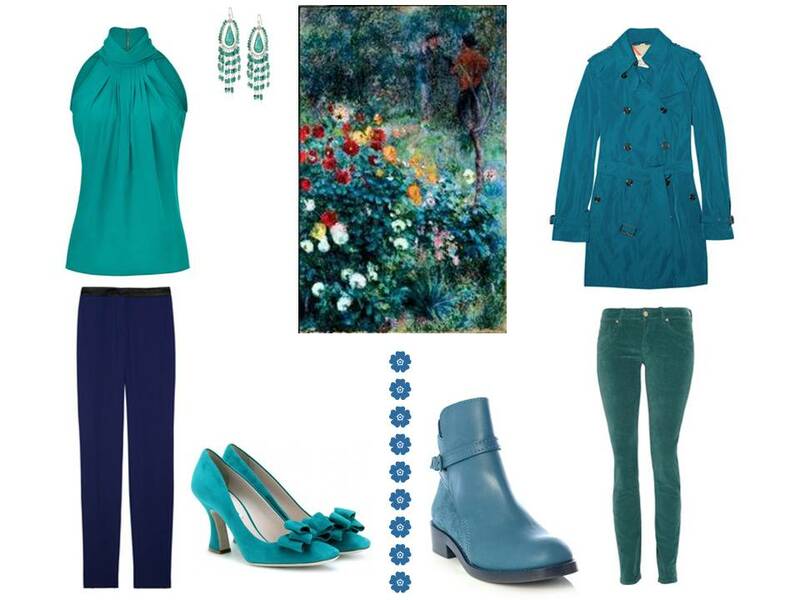 I saw this concept many times on a colleague, who combined turquoise, navy, denim, etc. to beautiful effect. But your use of dark navy and cobalt is is a new spin. Thank you,thank you,thank you !!! 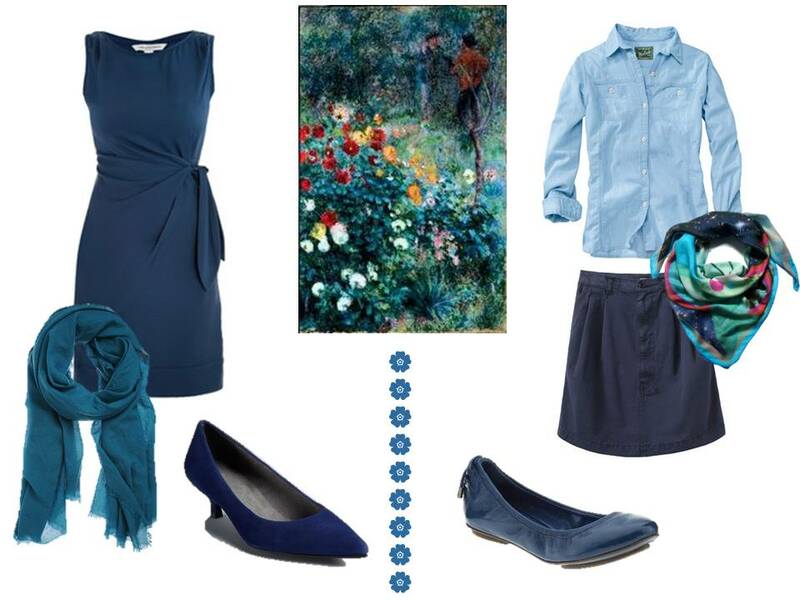 Blue is my best colour (even though red is my favourite ;-] ) and I am soooo inspired by these groupings. I'm even going to print these off for my Wish Wall.